A friend had this sticker placed on his passport by a security officer at Schiphol airport. It was while waiting at the gate, after what seemed like an almost informal chat (but yet he was pulled out of line by the officer), prior to boarding a flight to NYC. 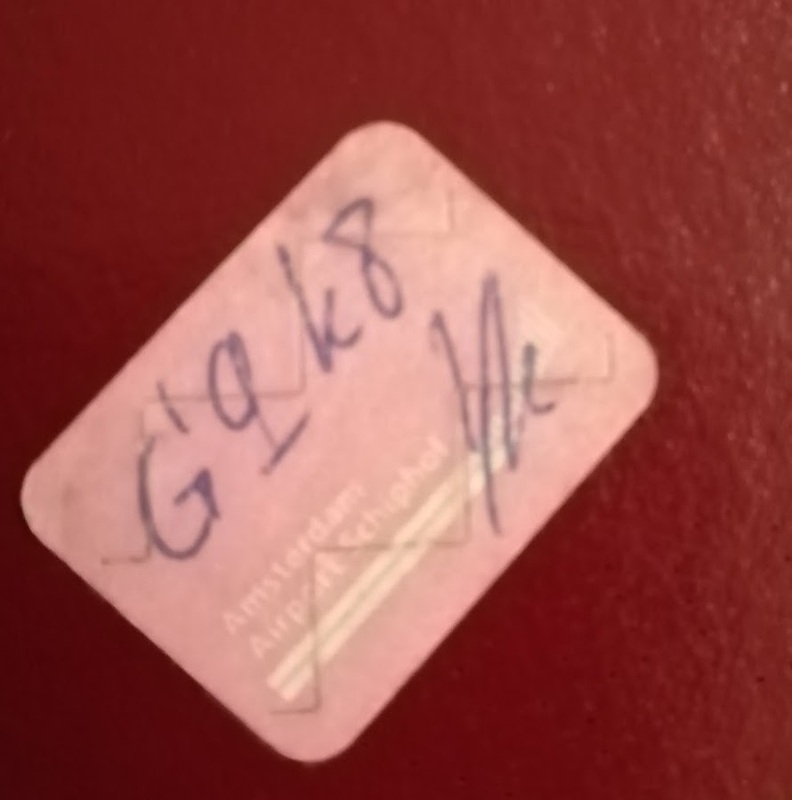 What is the meaning of this sticker, and can it be removed now (this happened more than a year ago)? Browse other questions tagged passports airport-security or ask your own question. Consequences of accidentally holding onto two Indian passports simultaneously? My hands were scanned by a strange device during a security check at the airport. What was the purpose? What is the purpose of baggage recheck?